Tea leaves contain naturally occurring caffeine. So what do you do when you want to enjoy a cup of tea before bed or if you have sensitivity to caffeine? That's where decaf tea comes in. Most people know that decaf tea means the tea doesn't contain any caffeine. What most people don't know is how tea becomes decaffeinated and what that means when it comes to health benefits. 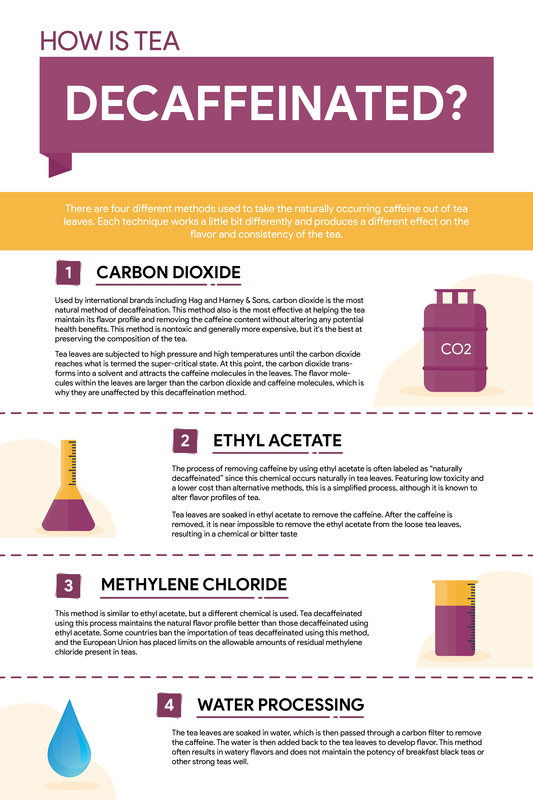 Here, we'll tell you how decaf tea is made and what it means for you. 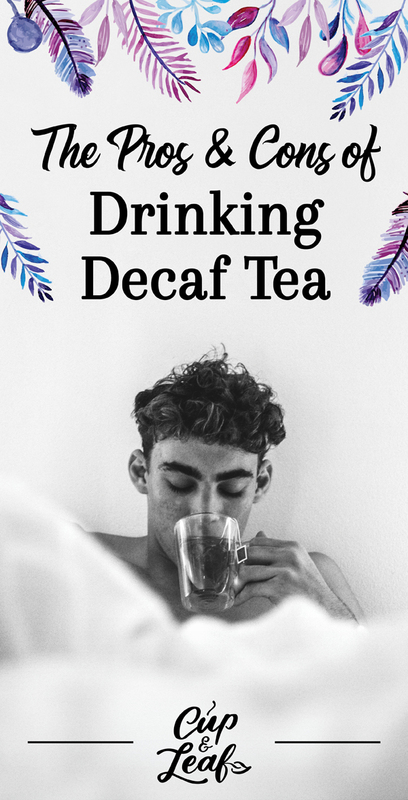 Made from flowers, leaves and roots of a variety of plants, decaf tea allows you to drink your favorite beverage without worrying about feeling wired or full of energy. Relax with floral blends or invigorating mints any time of day thanks to decaf teas. Decaf tea simply means there is no caffeine present in the tea. This can be important for people who suffer from caffeine sensitivity or if you want to enjoy a tea before bedtime. All types of tea can be decaffeinated, although black tea and green tea are the most popular and widely available varieties. While these two terms are often used interchangeably, there is a significant difference between caffeine-free teas and those which are decaffeinated. 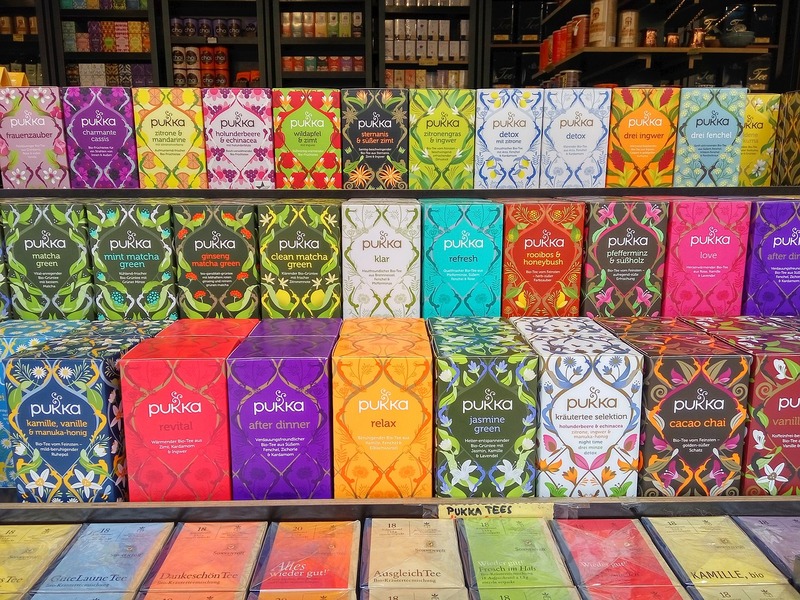 Caffeine-free teas don't contain any amounts of caffeine, while decaf teas contain caffeine which is later removed in order to appeal to wider populations. Decaffeinated tea is distinct from naturally caffeine-free teas as there are still trace amounts of caffeine in these teas. Typically decaffeinated tea contains 2 milligrams of caffeine, as the decaffeination process can't totally remove it all. Caffeine-free teas don't have any caffeine to begin with thanks to their natural composition. Caffeine-free teas are generally herbal teas or tisanes such as jasmine tea, chamomile tea and mint tea. So how does one get the caffeine out of tea? Well, there are four different methods used to take the naturally occurring caffeine out of tea leaves. Each method works a little bit differently and produces a different effect on the flavor and consistency of the tea. Used by international brands including Hag and Harney & Sons, carbon dioxide is the most natural method of decaffeination. This method also is the most effective at helping the tea maintain its flavor profile and removing the caffeine content without altering any potential health benefits. This method is nontoxic and generally more expensive, but it's the best at preserving the composition of the tea. Tea leaves are subjected to high pressure and high temperatures until the carbon dioxide reaches what is termed the super-critical state. At this point, the carbon dioxide transforms into a solvent and attracts the caffeine molecules in the leaves. The flavor molecules within the leaves are larger than the carbon dioxide and caffeine molecules, which is why they are unaffected by this decaffeination method. The process of removing caffeine by using ethyl acetate is often labeled as “naturally decaffeinated” since this chemical occurs naturally in tea leaves. Featuring a low toxicity and a lower cost than alternative methods, this is a popular process, although it is known to alter flavor profiles of tea. Tea leaves are soaked in ethyl acetate to remove the caffeine. After the caffeine is removed, it is near impossible to remove the ethyl acetate from the loose tea leaves. This results in an altered flavor that is often described as having a chemical or bitter taste. This method is similar to that of ethyl acetate, but a different chemical is used to extract the caffeine. Tea decaffeinated using this process maintains the natural flavor profile better than those decaffeinated using ethyl acetate (1). However, there can still be residual amounts of the methylene chloride, a chemical linked to cancer and birth defects. Some countries ban the importation of teas decaffeinated using this method and the European Union has placed limits on the allowable amounts of residual methylene chloride present in teas. In the United States, the FDA regulates the use of this method. This method is more popularly used when it comes to decaffeinating coffee beans, but some tea brands use it for loose leaf teas as well. The tea leaves are soaked in water, which is then passed through a carbon filter to remove the caffeine. The water is then added back to the tea leaves to develop flavor. This method often results in watery flavors and does not maintain the potency of breakfast black teas or other strong teas well. 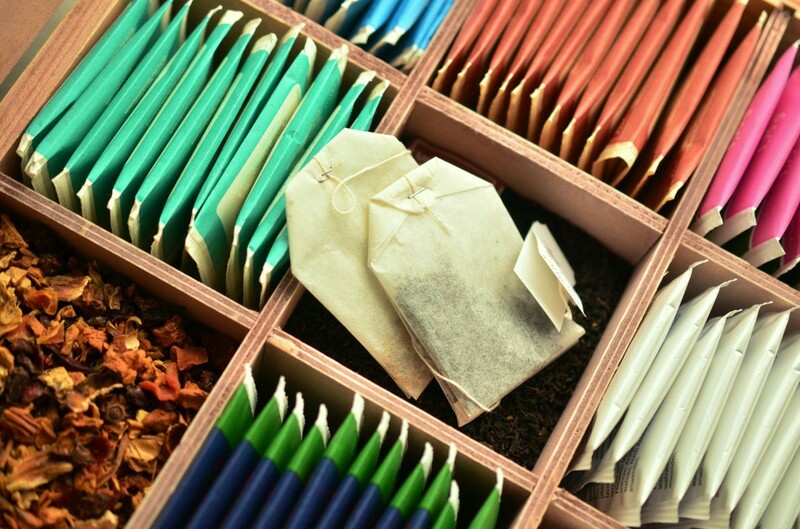 Is Decaf Tea as Healthy as Regular Tea? One of the most common questions people ask before switching to decaf is whether or not they will still be able to reap the health benefits of tea. The decaffeination process removes not only caffeine, but also polyphenols and some antioxidants, meaning decaf may not be as potent as regular tea when it comes to health benefits. That doesn't mean that decaf tea is a total waste of time or that it doesn't offer any health benefits at all. According to a 2003 study, flavanol content in decaf tea was anywhere from 16.6 to 64.2 milligrams less than when compared to caffeinated tea. Antioxidant values were also lower, but were still present in large amounts. So while there is a reduction in flavanol and antioxidant content, there is still enough present to offer potential health benefits (2). 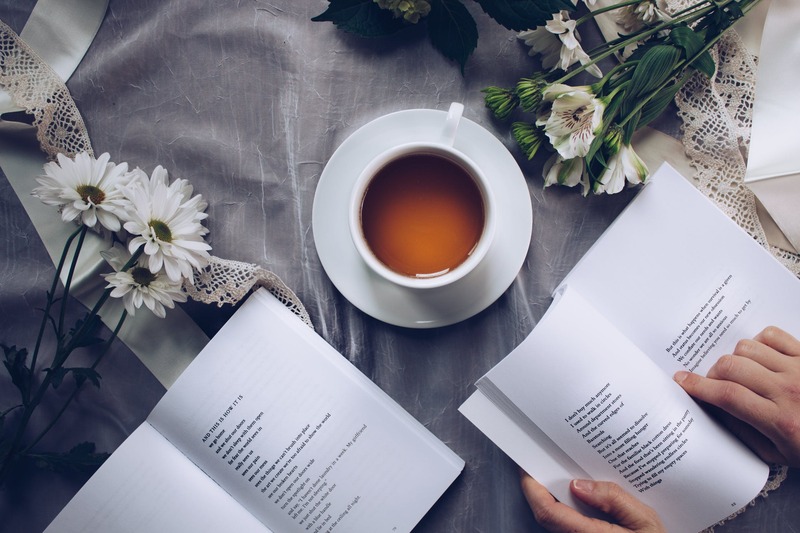 The biggest benefit of decaf tea is that you can consume it at any time of the day, even in large quantities, without worrying about getting the jitters or having insomnia. You don't need to drink only decaf brews unless you have sensitivity to caffeine or another medical, religious or personal reason to take into account. You can mix it up with a decaf herbal blend before bed to help you sleep peacefully and a rejuvenating Darjeeling, Assam, Ceylon or white tea in the morning to jump start your day. Drinking caffeine-free teas doesn't mean you have to sacrifice taste or aroma. 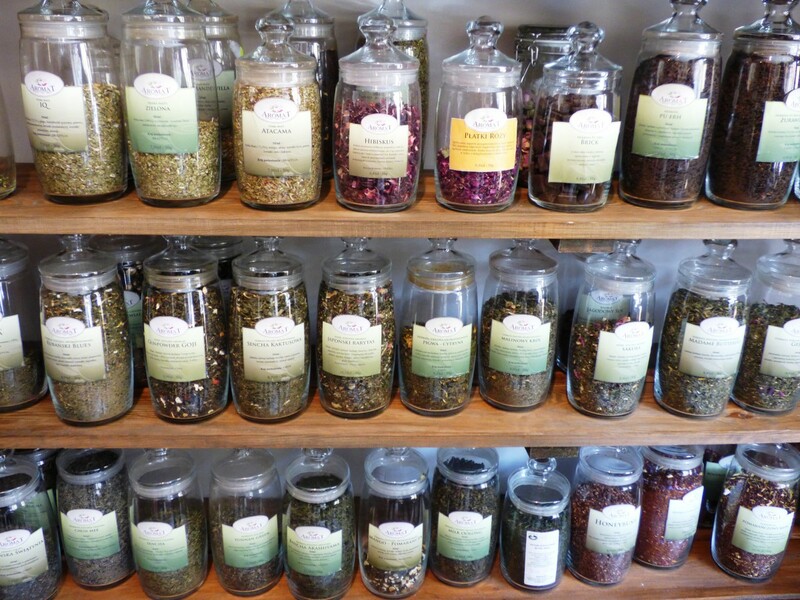 You can still enjoy a variety of different tea blends, even if you are avoiding caffeine. Just because you want to go caffeine free doesn't mean you have to give up your favorite English breakfast tea. 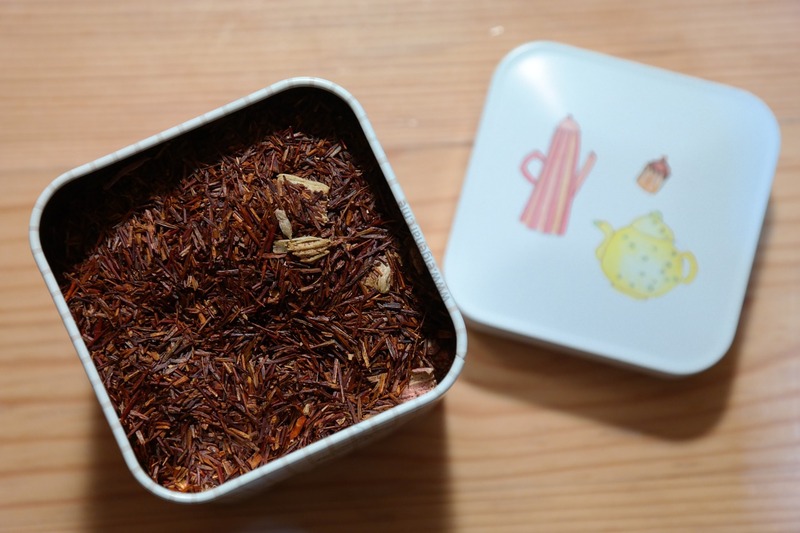 Thanks to creative tea masters, you can get your hands on a decaffeinated British Earl Grey tea by opting for a rooibos Earl Grey. Made from the red rooibos plant in South Africa, this Earl Grey is brewed using a red tea that doesn't contain any caffeine. It's still flavored with bergamot so you'll get that delicious citrusy flavor without the jittery feeling. Ginger tea is made by infusing the root of the ginger plant in hot water. No tea leaves are added to this tea recipe so you don't have to worry about any caffeine. Spice up your ginger tea by adding a slice of lemon and a dash of honey to play off the spicy bite of the ginger root. One of the most popular floral teas in the world and beloved by the Japanese, jasmine tea offers a delicate, sweet, fragrant aroma that can induce relaxation thanks to its natural caffeine-free composition. While most jasmine tea is brewed using green teas a base, you can use decaffeinated green tea instead. You can brew right at home by harvesting jasmine flowers in your garden and drying them. If you want step-by-step instructions on how to dry flower petals, check those out right here. Alternatively, you can purchase pre-dried flowers and decaf green tea leaves to brew your own caffeine-free jasmine tea in minutes. Believed to aid with digestion and insomnia, chamomile and lemongrass tea is the perfect beverage to unwind with after a long day. Made just from these two ingredients, you don’t have to worry about any caffeine in this light, floral, tangy drink. Add extra flavor with a few slices of lemon or orange and a heaping teaspoon of raw honey. Peppermint tea is a flavored tea that comes from the dried leaves of the peppermint plant. The peppermint plant is naturally caffeine-free and this tea is not brewed using any of the true tea leaves. Offering a slightly sweet flavor, refreshing aroma and fresh finish, this tea is among the classical favorites for tea drinkers. In the Hindi Indian language, masala translates to “spice mixture” while chai translates to “tea.” This spiced tea is usually made using an infusion of spices, which makes it caffeine-free. Some chai recipes call for adding black tea leaves — these should be avoided if you’re looking for decaf tea because black tea leaves contain naturally occurring caffeine. While decaf chai tea is widely available in tea bags and loose form for easy brewing, you can also make your own blend right at home. If you do want the flavor addition of black tea, you can easily substitute the black tea with decaf black tea or opt for rooibos tea instead for a naturally caffeine-free alternative. With flavors including ginger, cardamom, nutmeg, fennel and star anise, masala chai is a tea lover’s dream. The decision to drink decaf tea will largely depend on your own specific situation. We'll review the pros and cons of drinking decaf tea and let you decide what fits your life best. On the negative side, many of the methods that produce decaf tea can contain unwanted chemicals. Most grocery store teas use the methylene chloride or ethyl acetate methods to remove caffeine from teas. While these two methods are the most toxic, they are also the most affordable, which is why they are so widely used. These most common methods also alter the flavor profile of teas leading to a less than satisfactory experience. To drink better-tasting decaf, look for brands that decaffeinate their teas using the water processing or carbon dioxide methods. Decaf teas also have a lower presence of antioxidants and polyphenols that deliver health benefits. That means there is the possibility that decaf tea isn't as good for your health as caffeinated tea, although it's important to note that research is ongoing. On the positive side, decaf tea is essential for individuals who have sensitivity to caffeine or who need to remove it from their diet. By paying close attention to the brands you buy along with where and how ingredients are sourced and processed, you can enjoy delicious cups of tea without the caffeine. Decaf tea is also convenient if you want to drink a cup of tea before bed without increasing alertness and inducing insomnia. Decaf tea is as versatile as caffeinated teas and is widely available in both loose tea and tea bag forms. You can use decaf tea with your tea sets and tea accessories just like you would with caffeinated tea. If you can, mix it up with decaf and caffeinated teas and get the best of both worlds. Now that you know how decaf tea works, you have all the tools you need to make an informed decision.